Note: This post is the sixty-first installment in my author’s commentary for Eternal Empire, covering Chapter 60. You can read the previous installments here. Vladimir Putin is still here. I type these words not because we need to be reminded of that fact—I can’t think of another foreign political leader whose shadow has loomed so ominously over a peacetime presidential race—but to consider what it means. When I began writing The Icon Thief, more than eight years ago, Putin was ostensibly on his way out: he was ineligible to run for a third term, so the reigns of power were passed to Dmitry Medvedev, his chosen successor. Instead, Medvedev appointed him prime minister, and a few years later, Putin was back in the presidency, as if he’d never been gone. It isn’t hard to imagine him pulling the same trick forever, or for as long as his health holds out, which might be for quite some time. He’s only in his early sixties now, which is practically his young adulthood compared to some of the decrepit Russian leaders of the past, and he’s in what he takes pains to assure us is peak physical condition. It’s a situation that ought to keep most of us up at night, but it’s also a boon to suspense novelists. As I once pointed out, Putin’s name is the most evocative word in the lexicon of the modern thriller: it calls up an entire world of intrigue and implication, allowing a novel to do in a few sentences what might otherwise require five pages. As a rhetorical device, it isn’t just confined to fiction, either. Putin wouldn’t be evoked so often in this election if he didn’t have such a powerful hold over our imaginations, and recent events have only confirmed, as I’ve said from the beginning, that nothing that a writer can invent about Russia can possibly compare to the reality. Incorporating a contemporary or historical political figure into a thriller is nothing new, of course. The gold standard was set, as it was in so many other things, by Frederick Forsyth, who built The Day of the Jackal around an assassination attempt on Charles de Gaulle, and who gave prominent speaking parts to Margaret Thatcher in several of his later novels. It’s a trick that grows stale when a writer uses it too often, as Forsyth sometimes does, but its easy to understand its appeal. For a certain kind of thriller, the story is less about something that could happen than about what might be happening right now, or that has already happened without our knowledge. Such novels often set up a sliding scale of verisimilitude, starting with big, obvious figures like Putin, working their way down through historical figures or events that aren’t as familiar, and finally entering the realm of pure fiction. 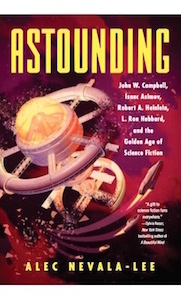 Even if you’re reasonably conversant with current events, you can have trouble telling where fact leaves off and invention begins, especially when the novel starts to show its age. (For instance, I have a feeling that most contemporary readers of The Day of the Jackal aren’t aware that the opening sequence, which depicts a failed attempt on de Gaulle’s life, is based on fact—an interesting case of a novel outliving the material that it once used to enhance its own credibility.) Ideally, the transition from someone like Putin to the fictional characters at the bottom of the pecking order should be totally seamless, at least in the moment. We know that Putin is real and that most of the other characters aren’t, but in some cases, we aren’t sure, and the overwhelming fact of Putin himself serves to organize and enhance the rest of the story. Eternal Empire is literally framed by Putin, both in terms of how the novel was conceived and of how it was finally published. It opens with an epigraph from Rachel Polonsky’s Molotov’s Magic Lantern, which describes how Putin asked to have a fragment of the polar seabed brought back to him as a nod to the underground kingdom of Shambhala, and it ends with an excerpt from a New York Times article from December 10, 2011, which describes the abortive protests that flared up that year against the Putin regime. As I’ve mentioned elsewhere, the entire novel unfolded like a paper flower from those lines in Polonsky’s book, and it isn’t hard to see why they struck me. In juxtaposing the steely figure of Putin, the ultimate pragmatist, with the gauzy myth of Shambhala, it encapsulates the tension that defined the rest of the series, which in many ways is about the collision between practical spycraft and the weirder elements that have a way of impinging on the rational picture. (As Powell says to Wolfe of the Shambhala story: “That doesn’t sound like the Putin I know.”) The closing epigraph attracted me for many of the same reasons. Its image of protesters with white flowers and ribbons was derived from an actual event, but it could easily stand for something more. A white flower can mean just about anything, so it wasn’t hard for me to tweak the story so that the protests seemed to emerge from the Shambhala plot. And the entire narrative was timed to culminate at this moment, which would serve as the visible eruption of the forces that my characters had spent the entire book marshaling in secret. Note: This post is the fifty-first installment in my author’s commentary for Eternal Empire, covering Chapter 50. You can read the previous installments here. A good way to do this is to go ahead and end it with the usual driveling collection of super-climaxes, anti-climaxes and what not that amateurs end stories with, and then go over it, find where the punch ending is, rework the ending so that the anti-climaxes, if there is anything in them at all that really needs to be told, come before the final crux ending. Another advantage to delaying the explanatory scene for as long as possible is that it turns an implausible twist into a fait accompli. I’ve noted before that if there’s a particularly weak point in the story on which the credibility of the plot depends, the best strategy for dealing with it is to act as if has already happened, and to insert any necessary justifications after you’ve presented the situation as blandly as possible. Readers or audiences are more likely to accept a farfetched plot development after it has already been taken for granted. If they had been allowed to watch it unfold from scratch, during the fragile early stages, they would have been more likely to object. (My favorite example is how in the two great American drag comedies, Some Like it Hot and Tootsie, we never see the main characters make the decision to pose as women—we cut to them already in makeup and heels, which mostly prevents us from raising any of the obvious objections.) This explains why the expository flashback, while often ludicrously detailed, rarely shows us the one scene that we really want to see: the conversation in which one character had to explain to the rest what he wanted them to do, and why. Even a classic twist ending like the one in The Sting falls apart when we imagine the characters putting it into words. The act of speaking the plan aloud would only destroy its magic. Note: This post is the eighth installment in my author’s commentary for Eternal Empire, covering Chapter 9. You can read the previous installments here. I’ve probably read The Silence of the Lambs by Thomas Harris more often than any other work of popular fiction, and I’m frequently surprised by what parts hold up for me the best. If you’ve read the book or seen the movie just once, you tend to remember a few big set pieces—Lecter’s escape, his exchanges with Starling, the final showdown in the killer’s darkened basement—and with good reason: they’re all great scenes, and it’s unlikely we’d be talking about this story at all if Harris hadn’t conceived and executed those pivotal moments so expertly. As time goes on, though, the sequence that I find myself revisiting the most, especially with an eye to the writing, is the early scene when Starling explores the storage unit belonging to the late Benjamin Raspail. It covers about twelve pages in the paperback edition, and although it climaxes on the memorable image of a severed head in a specimen jar, for most of its length, it’s merely tense and methodical. Yet I honestly believe that this is some of the best writing that Harris, or just about anyone, has ever done in the field of suspense. And along with Frederick Forsyth’s loving account of testing the rifle in The Day of the Jackal, it’s the scene I read whenever I need to be reminded of why I fell in love with this genre in the first place. So what makes the chapter live for me, when more conventionally dramatic moments in the novel have faded with time? As with most great scenes in fiction, it’s an instance of pleasure in craft unfolding in parallel with the action itself. Starling is excited, but very careful, and the chapter provides her with many small moments of delightful ingenuity—using oil from a dipstick to lubricate a stubborn lock, raising the rusted gate of the storage unit with the jack from her car—that put us permanently on her side, if we hadn’t already been won over by her competence and determination. We’re won over by Harris, too. In outline form, the scene could have been routine in a way that, say, Lecter’s jailbreak would never be; we’re pretty sure, given the buildup, that Starling is going to find something interesting, but it’s too early in the story for us to really be concerned for her safety. So what Harris does is build the chapter up detail by detail, never hurrying, leaving us confident that we’re in the hands of a writer who knows his stuff. The writing is effective but never showy, as it can sometimes be when Harris indulges himself, with a lot of nice turns of phrase (“The padlock jumped like a frog in her hand”). And you feel that Harris lavished even more care on this scene than usual, since it works only to the extent that it gives us our first real taste of Starling in action. Note: Since I’m taking a deserved break for Thanksgiving, I’m reposting a few popular posts this week from earlier in this blog’s run. This post was originally published, in a slightly different form, on December 18, 2012. It sounds pretty straightforward, but surprisingly few works of art pass the test. And while this isn’t meant to be taken as a measure of a story’s merit—there aren’t any women in Lawrence of Arabia for a reason—it’s still worth asking why narratives that fulfill all three requirements remain the exception, not the rule. This is especially true in suspense, in which otherwise great authors, like Frederick Forsyth, either ignore women entirely or prove utterly incapable of writing convincing female characters. As far as my own work is concerned, The Icon Thief and City of Exiles both squeak by, but largely on a technicality: both have women in the lead, but only a couple of female supporting characters with whom my protagonists can have a qualifying conversation. Yet something unexpected happened with my third novel. Eternal Empire is the concluding book of a series that has introduced a number of important female characters over time, and two of the three leads are women from the previous novels, along with many smaller but crucial roles. As a result, I’ve found myself writing numerous chapters in which only women appear. This wasn’t a conscious choice, but simply the way the narrative evolved. And although it might seem odd to comment on it, it’s a measure of the relative lack of female characters in this kind of story that it struck me, after the fact, as surprising. So how did I end up writing three novels with female protagonists? Part of the answer is that I’ve been enormously influenced by works of art in which unforgettable women appear. 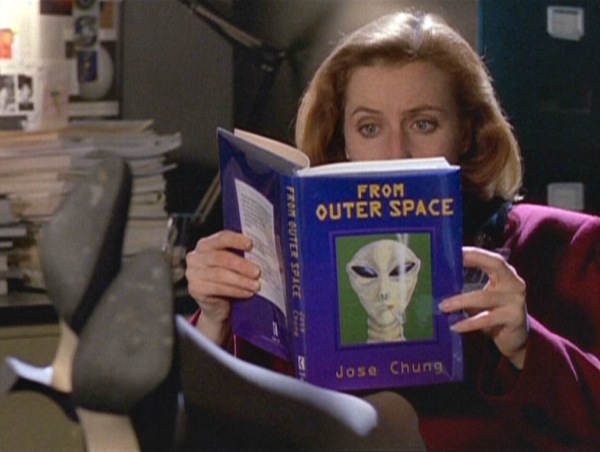 I don’t think I’d be writing this kind of book at all if it weren’t for Dana Scully, my favorite character on television, who, in turn, was clearly modeled on the great Clarice Starling. (It’s fitting, then, that Gillian Anderson has played such a prominent role on the Hannibal television series, thus bringing the wheel full circle.) It was also a test for myself as a writer. On some levels, men and women aren’t so different, at least not in a story like this: James Cameron has said that his preferred way of creating a compelling female character is to write for a man and simply change the name—which is how we got Ripley in Alien—and one of William Goldman’s favorite methods for brainstorming his way through a difficult story is to ask, “What if all the characters were women?” All the same, writing for a character whose experience is distinct from my own in certain fundamental ways forces me to think through even the smallest moments, testing them for plausibility, tone, and emotional truth. Which is something I should be doing anyway, of course, but when I’m writing for a male lead, I’m more likely to overlook such problems, because I’m not subjecting the character to the same kind of scrutiny. When I recently went back to read my first, unpublished novel, for instance, I found that the lead character, a young man not unlike myself at the time, was serviceable, but a little colorless, probably because he was so easily assembled in my imagination that a lot of it failed to make it to the page. A character like Rachel Wolfe, by contrast, seems more real to me than most of my male protagonists, just because I’ve had to work on her more rigorously. In some ways, that’s the greatest possible benefit in writing characters of a different gender. It can’t be an accident that many of our finest novels, from Madame Bovary to Atonement, have been written by male novelists assuming a female point of view. Anything that requires a writer to look twice at things he, or she, might otherwise take for granted can only be a good thing. And in my fiction, as well as in my own life, I have some strong women to thank. Note: This post is the forty-second installment in my author’s commentary for City of Exiles, covering Chapter 41. You can read the earlier installments here. 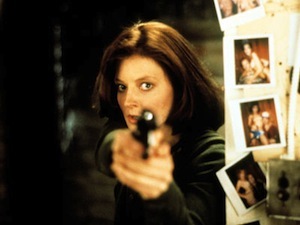 Hardware, as I’ve noted before, lies at the heart of a certain kind of thriller, and a lot of suspense novels seem to have written solely to showcase a particularly seductive bit of weaponry. (Two that come to mind, out of many possible examples, are Ken Follett’s The Hammer of Eden and Frederick Forsyth’s The Fourth Protocol, not to mention the Tom Clancy novel of your choice.) At times, the thriller comes startlingly close to science fiction in its fascination with technology, often in the form of gadgets and devices that don’t yet exist, at least not for the likes of us. In the Bond books and movies, hardware serves as another form of escapism, a sort of consumerist fantasy with Q as a combination of personal shopper and bespoke tailor. 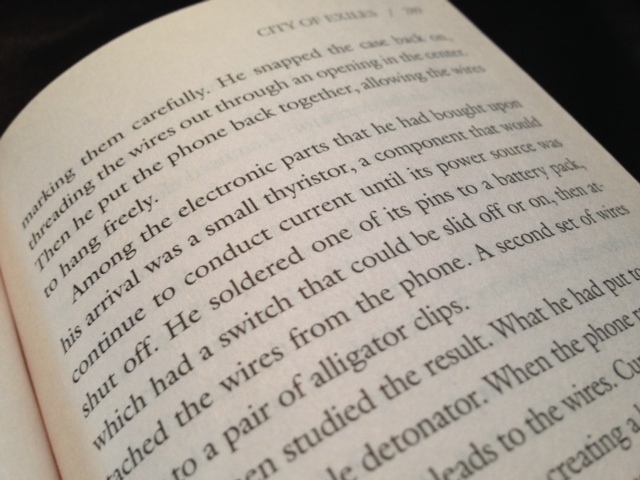 And even in superficially more realistic stories, technology feeds into the fantasy in a subtler way. An author’s familiarity with the details of guns or other tools of the trade grounds the more extravagant inventions of the plot, and we’re supposed to assume that if our writer knows what kind of holster would go best with a Walther PPK, he’s equally knowledgable about elements of spycraft and backroom politics that we have no way of verifying independently. When we’re dealing with an item of hardware that plays a more central role, we can indulge ourselves a bit more, and if we’ve handled it properly, the details enhance the story that follows: the object becomes a supporting actor in itself, and the action benefits in the same way in which a touch of backstory can enrich an important character. The ultimate example here is the rifle in The Day of the Jackal, which is more memorable than many of the human players involved—although it’s worth noting that we only care because it’s the weapon designed to assassinate Charles DeGaulle. On a more modest level, this also applies to the lethal device in City of Exiles. For most of the story, it’s a MacGuffin, designed only to push the characters from one violent appointment to the next, but as the climax nears, it becomes necessary to see exactly how it works. 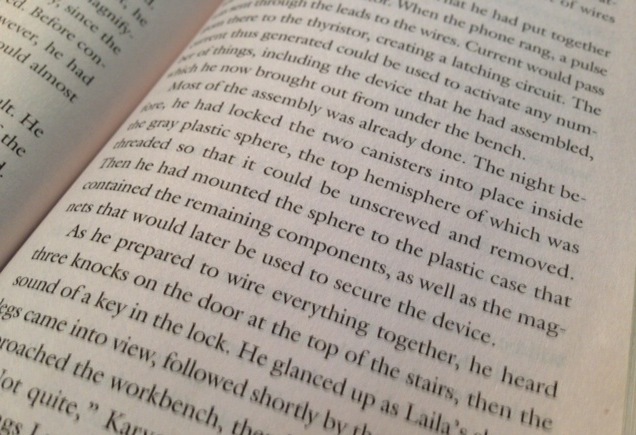 In Chapter 41, I devote a fair amount of time to describing how Karvonen puts it together, with particular emphasis on the cell phone detonator he constructs. All in all, it takes up about two pages at at point where the book has just over a hundred pages left to run, and I wouldn’t have sacrificed so much space to it if the effect hadn’t seemed worth it. When you’re doing research for a novel, you’re really searching for two separate but related things, which can be conveniently described as the how and the what. The how—the aspect of research that focuses on factual details and bits of description—is the part that gives the entire process its bad reputation. When you’ve roughed out a story and are starting to fill in the outlines with experience, observation, and reading, it’s tempting to put in everything you know, to the point where the narrative is overloaded with background information that you’ve gathered and can’t bear to cut. That material has its place as a kind of seasoning, and I enjoy it as much as every other writer, but I’ve learned to cut it down to a minimum, and it’s usually only after several drafts that I figure out how much color and reportage to include without overwhelming the plot. Fortunately, after a few revisions, you start to forget where fact leaves off and invention begins, allowing you to regard it all with the same eye. Once you’ve lived with a novel for a while, it no longer matters whether a detail was spun out of whole cloth or painstakingly unearthed: if it fits, it stays, and if it doesn’t, it goes. The other half of research, the what, is a lot more fun. I’ve found that the best time to begin research is when the general subject matter of a story is clear but the particulars are still unresolved. That way, when you find an especially lovely piece of material, you can adjust the plot to accommodate it. This may seem like a backward kind of approach—in theory, the story should unfold organically from an initial situation—but in practice, you’ll often find yourself making room for pieces that you want to include just because they’re beautiful for their own sake. When I read Ian McEwan, for instance, I’m often conscious of him bending the story slightly to make room for things he simply wants to talk about, like the digression on the Monty Hall problem that takes up several pages of Sweet Tooth or many of the more vivid moments in the Dunkirk evacuation or military hospital sequences in Atonement. Writing, as I’ve said before, is a kind of bricolage, with the author scrounging through whatever is at hand and arriving at a structure that covers as much of it as possible, and if you take that away, you’re robbing yourself of one of the profoundest pleasures that writing can afford. Occasionally, you’ll come across a building block of material so promising that it ends up shaping entire chapters or sequences that never would have occurred to you otherwise. 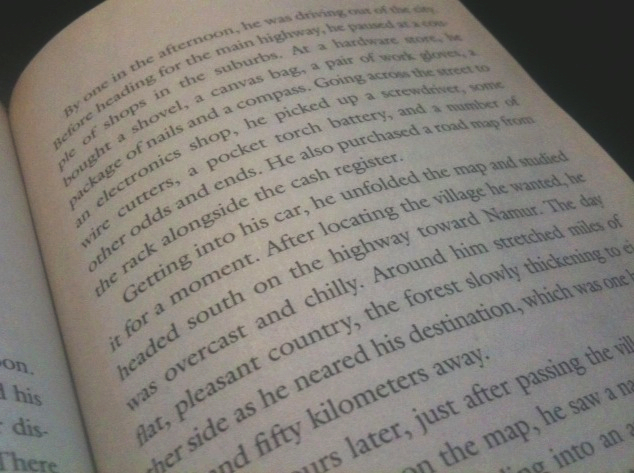 The prologue of The Icon Thief, for example, arises from a vivid anecdote in Stephen Handelman’s Comrade Criminal about an art smuggler being detained by bandits on the road to Hungary: as soon as I read it, I knew that it would make for a great opening for a novel, even if I wasn’t sure how it would fit in with the rest. Similarly, when I stumbled on the account in Christopher Andrew and Vasili Mitrokhin’s The Sword and the Shield of the weapons caches that the KGB hid throughout Europe for use by undercover agents in case of a violent uprising, I knew I wanted to build a scene around it in City of Exiles. 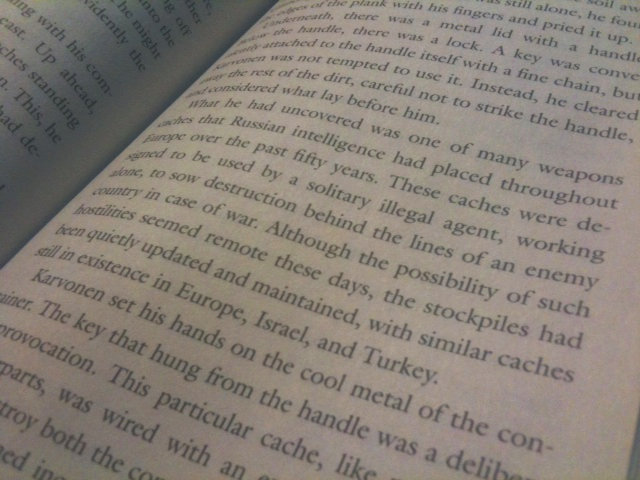 When you’re doing research, you count yourself lucky if you make even one discovery like this in five hundred pages of reading, and this tidbit—which includes a verbatim memo with step-by-step instructions on how to locate the cache and disarm the explosive it contains—seemed too good to pass up. And since Karvonen was already going through Belgium, which is one of the countries in which such caches were kept, it was easy to send him on this errand.